In the Triassic forests of Argentina lived the tiny Eoraptor—a predatory animal that hunted lizards and small mammal-like creatures. It was one of the first carnivorous dinosaurs. About the size of a sheep, Pisanosaurus was a plant-eater. It ate low-growing plants, which it nipped with sharp teeth at the front of its mouth. Fossns from the early cretaceous, about 100 million years ago, have been discovered in Brazil's Araripe Basin. At this time, South America lay close to Africa, but as the continents edged apart an inland sea formed. 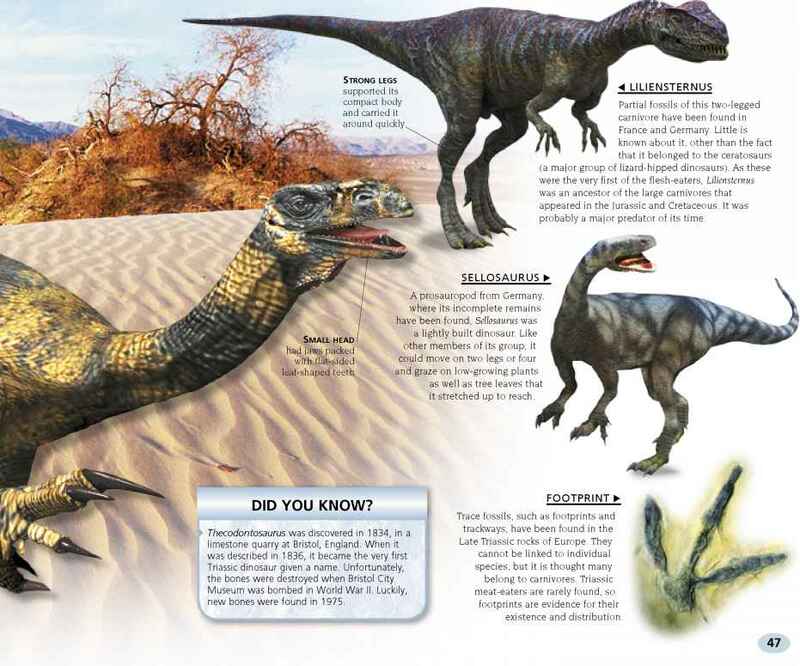 Along its edges lived small carnivores, such as Mirischia and Santanaraptor, together with large predatory dinosaurs, including the oddly named Irritator. No herbivores have been found, so it is likely that the carnivores lived off the area's fish. Eventually, the sediments on the seabed became rock, creating the limestone of the world famous Santana Formation. The Araripe Basin is in northeast Brazil, and covers about 3,000 sq miles (8,000 sq km). 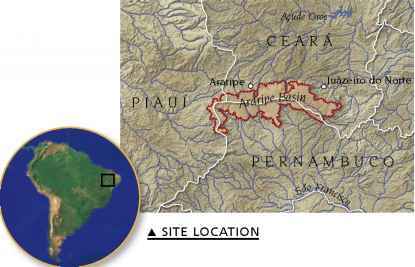 The Santana Formation lies within the Araripe Basin. 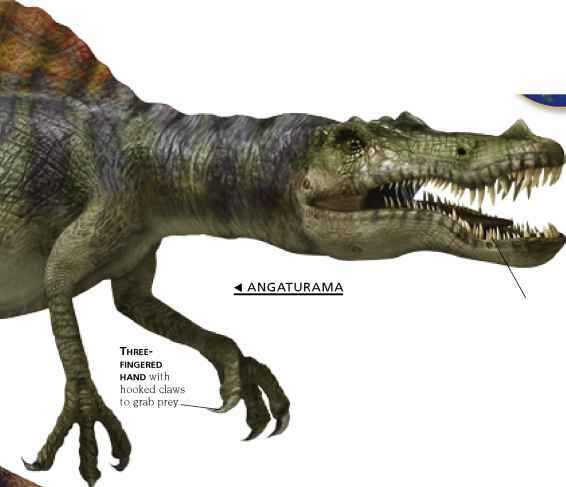 Like Irritator, Angaturama is also only known from a Santana Formation skull. Although it has been described as a new spinosaur (a fish-eater with a crocodilelike head), and therefore given its own name, it may turn out to be an Irritator specimen. If this happens the Angaturama name will be dropped.